Leading-edge Internet, Video, and Voice services through a 100% fiber optic network. With unlimited use and more options to choose from, you will be able to tailor your internet speeds to fit your home or business’ needs. EXPERIENCE the Power of N! 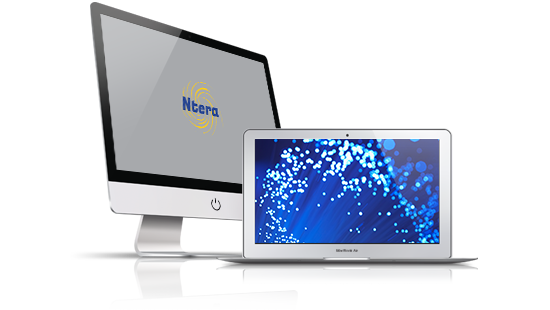 “The Ntera technician that did our install was super cool, very knowledgeable, & more than willing to answer all my questions – just really easy to work with. I already placed a call to customer service and one of Ntera’s IT gurus had me pointed in the right direction within the first minute. Work, play, chat, explore at the speed of light. Fiber technology delivers massive data to you through strands of glass. HD video streams with no buffering, websites load instantly, and games never lag, no matter how many devices are connected. At Ntera, we are more than just a business, we are your neighbors. With offices located in New Auburn and Cornell, our staff is available to assist you with any questions or concerns that you may have. From the initial contact to the installation of our products and services in your home or business and beyond, you will experience first-hand our knowledgeable and friendly staff. At Ntera, we are more than just a business, we are your neighbors. Contact us today!